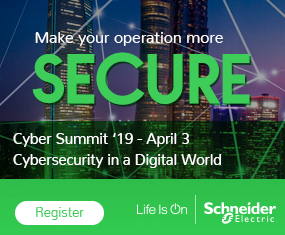 Schneider Electric has an upgrade plan for its Triconex Tricon, model 3008 that mitigates improper restriction of operations within the bounds of a memory buffer vulnerabilities, according to a report with ICS-CERT. Successful exploitation of these vulnerabilities could misinform or control the Safety Instrumented System (SIS) which could result in arbitrary code execution, system shutdown, or the compromise of safety systems. A Safety Instrumented System, MP model 3008 firmware versions 10.0-10.4 suffer from the remotely exploitable vulnerabilities. The system call reads directly from memory addresses within the control program area without any verification. Manipulating this data could allow attacker data to be copied anywhere within memory. CVE-2018-8872 is the case number assigned to this vulnerability, which has a CVSS v3 base score of 10.0. In addition, when a system call is made, registers are stored to a fixed memory location. Modifying the data in this location could allow attackers to gain supervisor-level access and control system states. CVE-2018-7522 is the case number assigned to this vulnerability, which has a CVSS v3 base score of 7.9. The product sees use in multiple sectors throughout the manufacturing automation industry. It also sees action on a global basis. An attacker with low skill level could leverage the issues, however, HatMan malware specifically targets these vulnerabilities. Schneider Electric recommends users upgrade their firmware to the latest 11.x version. If possible the users shodl contact Schneider Electric support for instructions.